1962 Ferrari 250 GTO Berlinetta, a rare model, has become the most expensive car to be ever sold. In an auction at Carmel (California), the car went under the hammer for $38mn. The record breaking sale was made by Paul Pappalardo, a Connecticut based car collect collector. However, identity details of the buyer are unknown. The previous highest auction amount for a car was $30mn, for a 1954 Mercedes Benz W196 Racer, which was sold in 2013. The value of Ferrari 250 GTO has increased by nearly 50 percent in last couple of years, as an apple-green model was sold for $35mn in a private deal in 2012. Interestingly, out of ten most expensive cars ever sold through auction, seven are Ferraris. The remaining three include couple of Mercedes Benz and a Ford. As per sources, the owners of other Ferrari 250 GTOs, including Nick Mason of Pink Floyd, have received offers ranging from $40mn to $50mn from perspective buyers. Currently, it is believed that the value of Ferrari 250 GTO is around $60mn. What makes this car special and a rare commodity is that only 39 of its kind were ever produced. Ferrari 250 GTO was produced from 1962 to 1964. The term 250 refers to the volume of displacement caused by pistons in the engine cylinders. The car had an all-Aluminum body work to keep the weight down and the aerodynamics were kept in focus during design to make it a fast racing car. The 250 GTO was designed by Giotto Bizzarrini, who was interestingly fired in 1962 by Enzo Ferrari over some dispute. 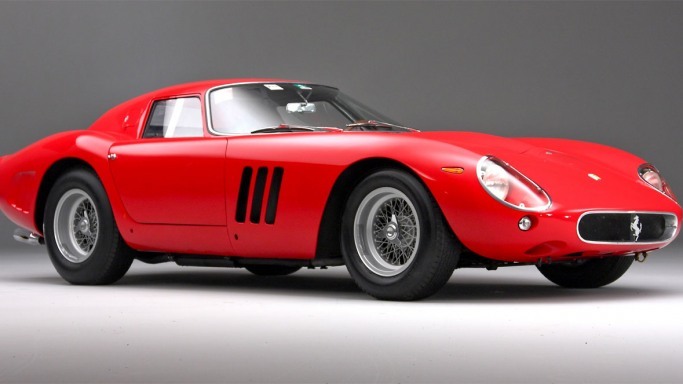 Some of the famous owners of Ferrari 250 GTO include Nick Mason (Pink Floyd) and DJ Chris Evans. When originally sold, it is said that Enzo Ferrari individually vetted each owner. The car sold by Paul Pappalardo was the 19th Ferrari 250 GTO to be made off the Assembly line. Also, the car sold by Paul has plenty of racing history attached to it. In 1963, Jean Guichet drove it to victory at Tour de France race, making it that much more appealing. The car had also been driven in 2002 Le Mans Classic. Not all history attached to the car is positive. The car met with an accident in 1962, killing its driver Henri Oreiller, who was former French ski champion. The car was restored by Ferrari and it participated in many races after that. The Ferrari 250 GTO was a potent racer fitter with a 3.0 liter V12 motor, developing 300 horsepower. The engine was mated to a 5-speed manual transmission. The car is capable of performing a 0-60 mph sprint in 6.1 seconds. The top speed of the car is pegged at 174mph. As per Ferrari, the Ferrari 250 GTO Berlinetta was ultimate expression of Ferrari 250 GT. The car was good on both tracks as well as roads. It was one of the last dual purpose car produced by Ferrari. On racing tracks, the 250 GTO has won a number of races in early 1960s. The road/racing credentials of the car have earned itself a legendary status amongst car aficionados. Ferrari 250 GTO makes for not just a great car to drive and show-off, but also a great investment. People who purchase these cars see them primarily as an investment. Going by recent price trends, 250 GTO does make for a great investment. Is the Porsche 961 Making a Comeback ?